Welcome to our office, where we are committed to providing you with the finest Endodontic care possible in a relaxed, comfortable atmosphere where the patient always comes first. 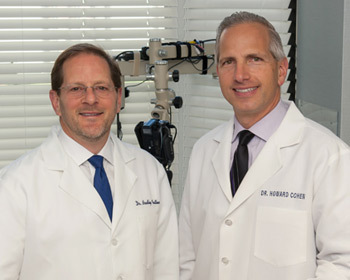 Dr. Bradley Trattner and Dr. Howard Cohen are specialist members of the American Association of Endodontists and fully trained using the latest technological advances. We provide procedures including microsurgery, root canal treatment, endodontic retreatment, and treatment of traumatic injuries to the tooth. The use of leading edge technology and the latest patient management techniques have now made it possible for root canal therapy and endodontic microsurgery to be performed in the most expeditious pain free way. Our highly trained office staff strives to satisfy your needs for quality treatment in a gentle caring environment. If you would like additional information, please don't hesitate to contact us at 410-653-2020 (Pikesville) or 410-321-1266 (Towson).